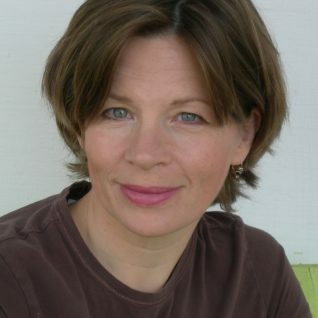 Debut novelist and Wyoming native Spring Warren is a longtime painter and furniture maker who lives in Davis, California, with her husband, historian Louis Warren, and their two sons. 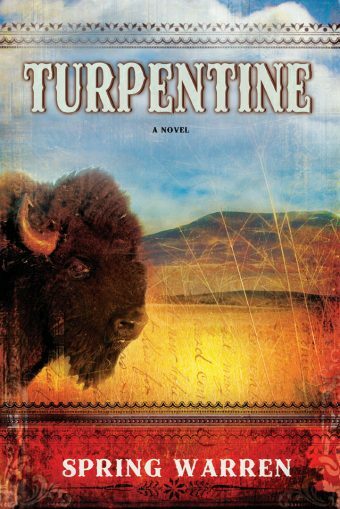 At once a comic glance at the old American West and a serious story about transformation and redemption, Turpentine is the remarkable literary debut from Spring Warren. In this ambitious novel, Warren delivers a bold and inventive story about a young man’s attempt to make sense of the past while unsteadily growing into adulthood. The year is 1871, and Edward Turrentine Bayard III, sick and restless, leaves his Connecticut home to recover out west. But when the private sanitarium in which he is to stay proves to be nothing more than a rickety outpost on the Nebraskan plains, he becomes a buffalo skinner. 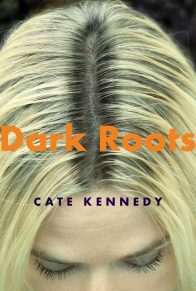 After returning to the East, Ned teams up with Phaegin, who earns her money rolling cigars, and Curly, a fourteen-year-old coal miner, but the newfound trio is wrongly accused of triggering a bomb at a labor rally, and they must flee. With a Pinkerton agent following their every move, the gang of winsome ne’er-do-wells engages in a circuitous escape that takes them through northern outposts into Indian country, past the slums of Chicago, and into the boundless Great Plains. En route they become witness to the transformation and growing pains of a burgeoning nation. Warren’s debut novel is a startling and prescient portrait of the great expanse of the American west: unforgiving, lawless, and rugged, a natural canvas for dreamers and escapees alike. 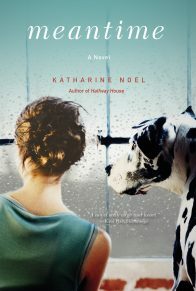 Equally memorable is the novel’s examination of a young hero: prone to failure, bold, and untested, Edward is a lovable and searching character in the vein of Mark Twain’s Huck Finn. 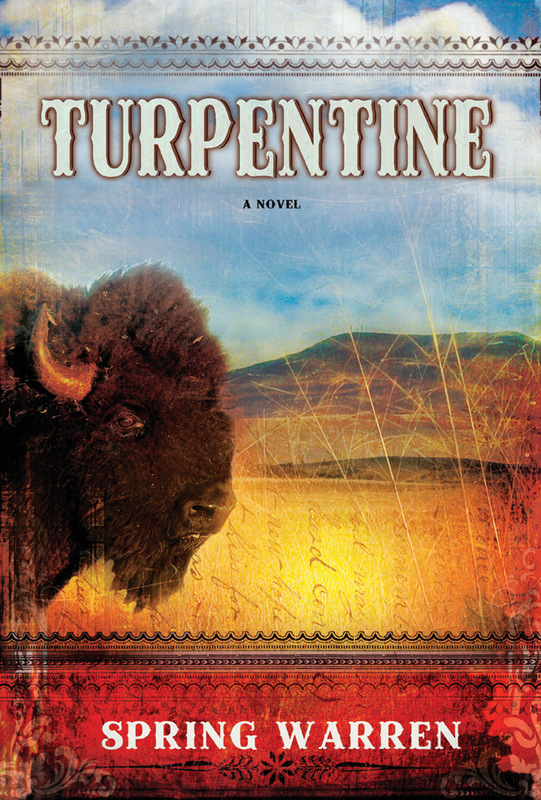 A contemporary story set in a distinct and old-fashioned era, Turpentine is a gritty, sure-footed homage to the frontier and its heroes, villains, and goons. The solicitor does not respond. The three letters I sent to Mother have been returned. Perhaps, in this country that requires more and more travail from its citizenry each day, it is no longer three but four that is the charm. Buffalo, some yet kicking and bawling into death, others still as boulders, soughed the plain. A cadre of skinners laid open hides, steam curling into the freezing air. The skinners were burly men; browned from weather and dirt, and fast. I, Edward Turrentine Bayard III, was picket, pallid, and slow. I sat on my heels shivering beside a mountain of a buffalo, keeping low to escape sharp wind blowing over the hump. Blood and hair matted my hands, arms, and coat. Two months earlier I’d been in Connecticut, boarding the train. Plum blossoms framed my mother as she waved a handkerchief bidding me goodbye. She was my only relative, my grandmother having died three months before and my father dead when I was seven. So it was my physician, Dr. Bateman, who lifted me onto the train west. I was to be treated in a small private sanatorium promising miracle cures for the lungs. The only miracles I suffered, however, were the transformation of the sanatorium into a rickety outpost on the Nebraska plain. The doctor who sent the advertisement was a scoundrel with a printing press. The greatest miracle was that the West had not yet killed me. Nebraska, being good for cold the way the south side of houses was good for lilacs, was yet covered in icy mud. After seventeen years avoiding dust and drafts like poison gas, I was now ever chilled, never clean, and with no choice but to push on. I picked up my knife, the sizable blade honed to wicked sharpness, and began the divorce of hide from meat. Tilfert Slade stood at my elbow. Overseer of the hide production, he’d taken on my western education to please my landlady, Avelina, whom he was courting. He was a huge man with tree trunk limbs and woolly hair that crested the neck and cuffs of his grimy shirt onto his face and over his knuckles, but he was elegant as silk at work. He sailed his blade between muscle and hide, sliding the steel from the tail, around each leg to the brawny neck, discharging hide from head, then turning to sheet his knife across the next beast in line. The pay was twenty-five cents a hide, but for every quarter I earned, twenty cents went to boots, to biscuits, to liniment. Today I’d torn my pants from crotch to knee. Resolving to work faster, I rowed my knife through the hide. When I began the southern descent around the horn to the leg, however, I punctured the entrails, loosing a belch of stink. I flung back retching, to the delight of Tilfert, who was entertained by emetics. I didn’t stint on his pleasure. Whereas life in civilization was scented and borne in pretty containers, in the West it oozed, poured from orifices, wriggled, stunk, and I was indisposed to it. I imagined we’d starve. The meal I’d lost was buffalo tongue fried in tallow. We ate buffalo hump for breakfast, boiled rib for supper. Biscuits were buttered with marrow pushed out of the buffalo’s hip bone. As variety: the clod pieces cut from the shoulder; buffalo liver, eaten raw and sprinkled with gall; or steaks, which, when seared over a buffalo chip fire, required no pepper. “How about a chicken?” I thought of my old cook and the roasted capon she lovingly prepared with spring potatoes and parsley. I slogged to the next animal apprehensively. They sometimes flinched with the first poke of knife. Tilfert followed. I began the rip from the neck. The last time I’d heard from Mother was on that Connecticut station platform two months ago. It was not like her. Though she was a timid woman, she was devoted to me, even indulging me in many ways my formidable grandmother disapproved of, once gathering bones from the kitchen so that I, in my bed, could assemble an entire chicken skeleton for my studies. When I left Connecticut, Brill, as much friend as tutor and only four years my senior, handed me “The Prairie Prince” from the Post and told me I was on my way to great things. This, though my vision blurred and I could barely speak through my labored breathing. Now his letters and my father’s watch were the only things that reminded me of who I had once been, if not who I was. I put my weight on the knife, but my arms trembled, my breathing was ragged. Quitting was a fine idea, though I could hardly sit a pony and my sense of direction was as laughable as my taxidermy. But Tilfert gave me a leg up onto the nag that toted pegs, who knew the way back like a homing pigeon. Tilfert slapped her haunches, and the mare and I began the plod to the fort. It wasn’t as far as it could’ve been, and the horse was warm under me. I clutched my ripped pant closed against the wind and relaxed into the horse’s rolling gait, closing my eyes with few qualms. If it took any skill on my part to get home, we were lost anyway. After some time I roused when the horse stopped altogether. I opened my eyes and saw what I initially took for fever: a woman. She sat not sidesaddle but astride a palomino, holding a hand to her brow as if she were a man surveying a piece of property. There was nothing else of a man about her. She was small, maybe five feet tall, with dark curls lifting her hat, and wore a red dress that was too fine both for riding and for the newly minted state of Nebraska, appearing of another texture and pigment than the dun life of leftover winter. My nose was dripping, my toes numb, but when Lill passed I felt a rush of warmth. As I had extended winter by my ride on the train, Lill pulled spring behind her. A warm breeze sighed, combed branches free of dead leaves, stirred grass to tender, sap to rise. The blood returned to my extremities. Agog, I watched her spark diminish across the plain. I roused the horse into a turn and followed as though Persephone herself were fleeing the world. The horse quickened into a brain-thumping trot, pegs rattled from the paniers as I shouted, “Miss Martine!” biting my tongue half through. Nebraska bumped up and down around me. I spit blood and fell farther behind by the jog. Lill Martine disappeared; my horse lathered; my privates screamed. Still I hung on, kicking the mare into motion, racing across a world that grew nothing taller than a stunted cedar, sagebrush, or prickly pear. Yet the land rolled like folds of fabric. Lill Martine could be a half mile away, she could be five, and not only did I not know her location, I would not have know my own. If I’d realized, I certainly would have panicked. A resident of Nebraska for just under two months, I’d already seen how many ways the prairie could do harm to a man. A horse could fall on him, a sudden blizzard take away his toes, fingers, his sensibilities, his life. There were rattlesnakes, rabid skunks, bad water, no water, and starvation threatening at every turn. The Pawnee were generally accepting of the whites, but the Sioux were not and I feared earning a nickname like Noseless (and earless) Joe Means at their hand. The horse had better sense than I, however, and, having turned from one destination, circled to the other. 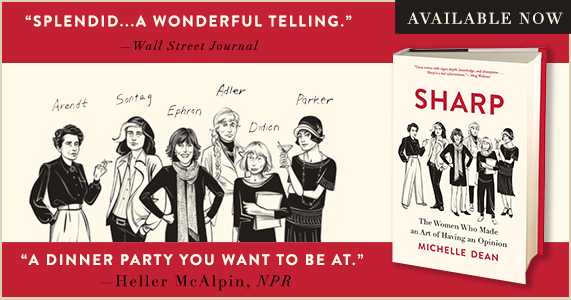 Rising from one of those soft folds, hopeful I would espy my fugitive spring, I, instead, found myself back in the cold company of skinners as though I hadn’t traveled at all. I wondered if Lill and my flight toward her had been a dream, but Tilfert ran to me from the wagon, horror on his face. “Ned, goddamn, what’s happened to you?” My shirt was spattered with blood. He helped me off the horse. I reclined in the wagon on a bed of buffalo hides, barely registering the fleas jumping my ship, as we returned to the low ranges of barracks, officers’ bungalows, and stables of and around Fort McPherson. McPherson was a ragtag place, serving not only as a military post but also as a locus of free enterprise. Drovers stopped along their routes. Pioneers passed through toward free land. Tourists rode in on the train to take a look at all the West at the end of the line, before racing back to tell their stories of shoot-outs and wolves. All these passing citizens had great needs, if varying amounts of money, to trade with McPherson’s entrepreneurial residents for lodging, tobacco, whiskey, bread, entertainment, or, perhaps, a new pair of trousers. My thoughts paused not on my need for trousers, however, but on the beautiful Lill Martine. I reexamined each word she spoke, cringed over what she must have thought of me. What had that “my, my” meant? It was possible she didn’t believe that I was Edward Turrentine Bayard the Third. No one had questioned my identity when I arrived at the fort in linen trousers with a trunk of useless shoes and ascots, fleeting sweets and plasters, and a pocketful of money. Yet my cash and cookies were soon gone, and with a whiff of imposter about me, the solicitude the officers at the fort had shown evaporated. The men addressed me as My Lord Turpentine. My syphilitic landlady put me out of the closet I’d rented, claiming she wouldn’t risk a lunger in her house any longer. If it weren’t for Avelina, I suppose I might have frozen to death. I wondered what Tilfert saw in Avelina. Though corpulent and rough, he was high-toned in comparison. I decided the draw was Avelina’s agreeable house and palatable meals, for the fellow who ran the squalid mess hall served bread green with saleratus and docked with flies, poisonously greasy doughnuts, and charred buffalo. These meals told on the men with damaging effect until, like arsenic, they built up a tolerance. Tilfert put so much away at one sitting that one disastrous supper could have been his undoing, even with his rock-ribbed constitution. Avelina also had an uncanny ear for rumor and—through similarly gifted friends cast like seed corn throughout the forty-one states and the Wyoming and New Mexico territories—she always had information to trade. Gossip was an art form at Fort McPherson, as assiduously practiced and deeply appreciated as any piano ’tude in a New York drawing room. And so, on my return, it was Avelina who told me about the beautiful Lill Martine. Known in Georgia as Lyllith Hays, she had been affianced to a surgeon of some repute. 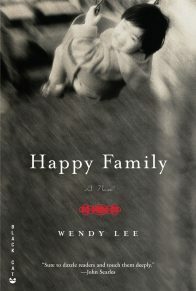 Lill’s family, fallen on hard times, had brokered their future on the marriage. When informed the man was affianced to another in Louisiana, Lyllith rode to her fiancé’s house and, from astounding distance, shot the surgeon through his cheating heart. The Hays family fled law, rumor, a flood of debt and took a new name. They headed west, where Lill might avoid the noose by dint of distance and discretion. For in the West, prostitutes might become innkeepers and an Irish brawler turn cattle baron. Negroes magicked their indenture to freedom. Though there was the murmur of gossip to live out, it was understood here, the past was nobody’s business. Lyllith the murderess expired, giving birth to Lill Martine, pioneer. And so the ruined rose from the flames. What this meant for My Lord Turpentine, I wasn’t sure, except the journey between pan and fire went both ways. From the other side of the curtain Avelina hung for privacy, I heard Tilfert burst into the house. He shouted, “Woman!” Avelina shrieked and cackled. There was a thump and a crash. The two of them would be wrestling and bussing their exuberant welcome, titans testing their strength. Tilfert roared with laughter; Avelina threatened his life and called him sweetness. I remained moused in my corner until it was decided. Then we sat for dinner. 1. We first meet weak-lunged and sheltered Edward Turrentine Bayard III only two months after he has been sent west from his Connecticut home to a nonexistent sanitarium in Nebraska. The West is still an unformed frontier in the 1870s and he has taken work as a buffalo skinner in order to survive. “The greatest miracle was that the West had not yet killed me” (p. 2). What do we learn about this unlikely hero as the story unfolds that makes this remarkable transformation possible? How would you describe Edward/Ned at the outset and again at the conclusion? What about him is different; what has remained consistent? 2. Edward is befriended by Tilfert, another skinner, and his landlady, Avelina. “I wondered what Tilfert saw in Avelina. Though corpulent and rough, he was high-toned in comparison” (p. 9). From the narrative what are your impressions of them? Did you find the denouement surprising? Did it change your opinions of these characters? What did Ned learn from them? 3. Ned soon meets Lill Martine, aka Lyllith Hays, who is rumored to have killed a man. He is instantly smitten. Very quickly he finds that she is something of a poet as well as a sharpshooter. “I am thinking we two lost souls should band together. You are a natural marksman but not yet a crack shot. Some practice, however, and we could offer shooting exhibitions, poetry readings, and scientific rumination for the cultivation and entertainment of the western pioneer” (p. 21). What does Lill see in Ned that forms her immediate affinity with him? Does Lill need Ned more than Ned needs Lill or is it the other way around? Does this change later? If so, how? 4. At the beginning of many chapters are fragments of letters to and from various characters. Why does the author, Spring Warren, include these? How do the letters augment the story? What are some things that are learned solely from the letters? 5. “Dear Brill, Walter Quillan has offered me employment! Further, the next you hear from me, I hope to be affianced. How the world can tip on and off its axis. Ned” (p. 47). In this letter to his old tutor it would seem that the fortuitous meeting with Professor Quillan of the Peabody Museum, combined with Ned’s abilities and interests, has neatly resolved Ned’s future. How does this turn into a misfortune? 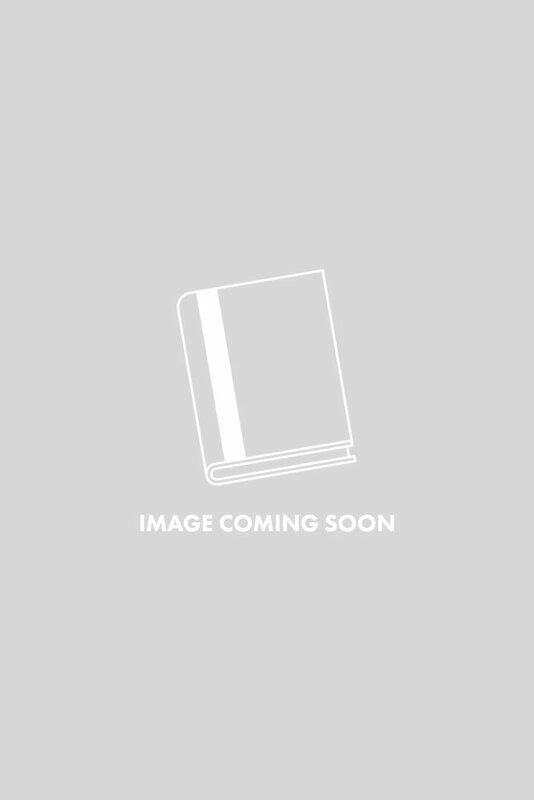 What does Ned learn from his association with Quillan and also with Mrs. Quillan? Cite some instances from the story of the world tipping on and off its axis. 6. Ned loses Lill to Buck Mason. 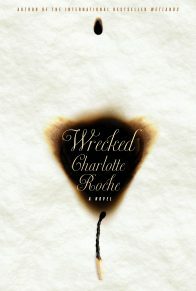 “Lill stammered, ‘Thank God you were here.’ She gazed into Buck’s face while she said it. I didn’t realize she was referring to me” (p. 63). When Ned, Buck, and Lill encounter the Indians; does Ned react like a hero? What part does Lill have in this whole adventure that eventually leads to Ned losing her? Did you find that Ned and Lill had personal qualities in common? Would they have made a good match? 7. “Would trains always take me from one sorrow to another? With my first journey I was abandoned not only by my people but by my fortune and place. But that sorrow did not come close to the magnitude of this one. Leaving a circumstance was as shallow as marrying one” (p. 115). As the train takes Ned back east to his promised job in New Haven, he muses about what he is leaving behind, his great love, Lill, his great Percheron steed, Chin, and his first great adventure. What is he taking with him? How has he been changed by his time in Nebraska? 8. At Mother Fenton’s, where Ned boards in New Haven, there are Chinese characters on the wallpaper. At his work for Professor Quillan he is charged with drawing the imperceptible fossil imprints left on pieces of coal. What is the author trying to communicate by challenging Ned with incomprehensible symbols? 9. In New Haven, Ned has a chance meeting with a street-wise young woman called Phaegin. Phaegin works in a cigar shop by day and goes to the dance halls in the evenings. They quickly strike up a close friendship. “And after I dreamed of Phaegin, of her softness and the smell of her skin, I did not ask why it was not Lill who perfumed my reveries; I shrouded my dreams in the cadence of labor” (p. 180). What characterizes Ned’s way of behaving toward Lill? How does Ned’s musings about Phaegin differ from his feelings for Lill? How are Phaegin and Lill different from each other? Are Ned’s feelings toward women clear? 10. 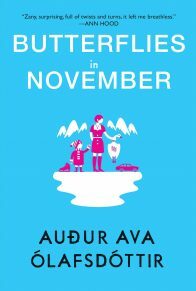 What is beginning to disturb Ned during his visit to the coal mine in Pennsylvania with Quillan? Is he starting to use his experiences to look at the world with more circumspection? “I wished I had better company in this perilous place. Depending on Quillan and Dunlaw was like trailing carnival balloons into a firestorm. I could have depended on Tilfert and Avelina to get me out posthaste, but that was beyond conjecture now. Buck Mason, though good with a gun, had proved himself to be too interested in his own skin to be reliable. Osterlund came to mind. Stalwart and no-nonsense, the solid Norwegian might well thrust his neckless shoulders against a failing beam. I acknowledged some wisdom in Lill’s choice” (p. 194). 11. “Can you be a despicable coward once and go on to be a decent human being or does it foul your soul forever? Perhaps my soul was already dark and heavy, and until now there had been no way of knowing” (p. 197). What did you think was the impetus for Ned’s taking Curly away and freeing him from his dismal, stunted life in the mines. Was it the terrifying immediacy of fear at the smell of the white damp, or was it something closer to the bone, something deeper? Is this just one more example of Ned’s credulity or is he trying to change something? 12. “Dear Lill, Hold on. Our lives have seasons we can’t predict. When it rains it feels forever, but we must believe that the sun will shine again” (p. 223). In spite of having been betrayed by people he put his trust in and in spite of making some poor judgments that have cost him dearly, Ned is still an optimist. Did you feel that his misadventures were teaching him about life? Have his life goals changed? 13. Ned is able to rationalize Curly’s amorality until Curly steals Ned’s fathers watch, and yet when Curly goes missing Ned still feels the need to find him. When they meet again during the workers’ rally, does it seem that Curly’s gullibility leads directly to Ned, Phaegin, and Curly being accused of theft, anarchy, and murder? Why is it only Phaegin amongst the three who sees their predicament clearly? How does she take on the role of leader? 14. “I was on the ocean. A white sand beach ahead, waves breaking like lace along the shore. Through the shimmering heat, an elephant decorated in sapphire and ruby thundered through palm trees. I yearned. I stretched out my hands. It was all so far away. Then I found, having sent my hands, sent my heart over that water, I could not get them back—and that was the true horror, the failure of desire, which had delivered only the vague chill of absence. The only thing to do was to pursue my errant shares, to be whole once again” (p. 251). In this passage, the author is putting some profound thoughts into Ned’s head and having him express them dramatically. Find some other examples of Ned’s internal poetic debate with himself. How did this affect your idea of Ned? 15. In their flight across the continent, Ned, Phaegin, and Curly have to call on all their abilities and cunning to avoid capture. Do Ned’s varied experiences of the American frontier and urban neighborhoods help him to understand how to navigate this minefield? What skills does he use? What did Ned’s encounter with Avelina/Little Frank’s father, Mr. O’Hare in Chicago, confirm about Ned? 16. “Phaegin also had a look of wonder on her face and I remembered, even as sick as I had been, what glory the open space held upon my first sighting. It was at once immense and then diminished by the even more astonishing immensity of sky overhead. A wondrous grassy ocean, islands of trees dotting the horizon” (p. 285). This is a very vibrant description. There are many in this book. Cite some and explain what is represented in each and how you think they affect the storytelling. Does the landscape of the West play a role in the story? In what ways? Find some passages describing cities, and contrast the language and the atmosphere conveyed. 17. “Curly collapsed back onto the dirt. The pig sat in the shade he cast. I sighed loudly, put my hands on my hips, and, nothing else to be done, directed, ‘Let’s get ’em off, take a look. Maybe we can cut the toes open or something.’” (p. 300). What do the pig and the cowboy boots reveal about Curly? Even though Curly is a scoundrel he has much more to him than just mischievousness. How do these other pieces of his character lead to his undoing? 18. Did you feel that the coincidences of meeting Mrs. Quillan in the middle of the prairie and also Ned’s reunion with Chin were a little too improbable or did you think they added a touch of appropriate whimsy to the story? What about this adventure lends itself to a certain measure of the marvelous? What other entertaining twists of fate did you find? 19. “Last year I worked into January, until the bad storms hit. Left the pushcart here in the canyon, walked to the railroad tracks, flagged down the train, and rode into Kansas City first class on my proceeds. Handsomest man in the world for two weeks. I owned a fine Arabian horse for about an hour, before I lost it in a poker game. A great bed to myself, unless I chose otherwise” (p. 315). What aspect of the frontier West does the character of Dawbs represent? What word does his name bring to mind that seems appropriate to him? 20. How does the great horse Chin become an important character in the novel? “I sat back on my heels, panting, gazing at the monition that was Chin. Like a vanitas painting, she cautioned: Things will change. But will they? I picked up a fragment of a belemnite from the pile of soil. Is what we call change the tiniest whisper along an emaciated moment, barely lighting on the surface? Then we dig down to the heart, dig down through the soil and rock, dig down to what is hard and real.” (p. 391). Did you have the feeling that Chin sacrificed herself for Ned? What has Ned struck upon in all his digging? 21. In the end, Phaegin/Alice/Bessie and Edward/Ned/Tom Piper shift into yet another outward appearance then marry and go on to create a family. “Yet as the past is relegated, one steps closer to the fact that the end and the beginning are much the same. Eventually no one owns identity. If we exist at all after we are gone, it will be as a story, as a symbol, as something in thrall to another’s life. You will merely be a cautionary tale, an inspiration, a shame, a way to make someone laugh, a means to learn about that abstraction called history” (p. 417). Did you find the ending satisfying in the way it let imagination run beyond reality? Did it bring your own family myths and history to mind?